Horse people know the kind of body language horses use to mean “Go away!” A pinned ear, a lifted head, a shift of the hip or a hind leg lifted slightly, perhaps along with a tail swish, means: “Leave me alone.” We all have seen the classic equine “snake face” (what we call in humans “stink eye”). If we could not read these body language messages, we would not last long with our beloved species. 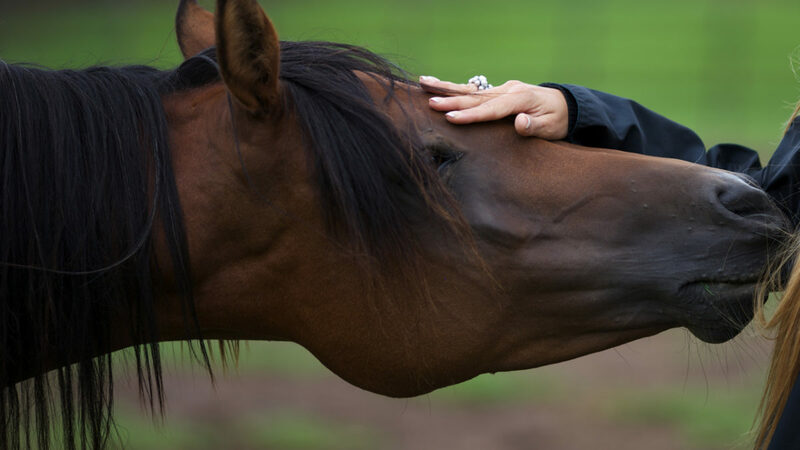 In order to communicate better with our horses, we need to be aware how we use our own bodies to tell our horses to go away or to invite them closer. Anytime we put our body in an “X” position, we are telling the horse to go away. A full “X” is standing with legs slightly apart and arms held up away from the shoulders—not something we regularly do around horse. However, simply lifting our chest can be a form of an “X” to most horses. Turning our belly toward a horse can be an “X” to a more sensitive horse. Putting your shoulders back is an “X,” as is standing up as tall as you can. These simple gestures say, “Go away!” to a horse. Forming an “O” shape with our body, on the other hand, draws a horse to us. This can be making a circle with our arms low in front of our body. But just bowing our head is a type of an “O,” as is looking at the ground. Simply pausing and softening our posture, giving a head nod when we go toward the pasture where he waits, might draw our horse to us. So many of us were taught to ALWAYS be in an “X” position around a horse: chest lifted, head up, and shoulders back. And if we are never with our horses in any “softer,” more welcoming position, no wonder our horses are always on edge. 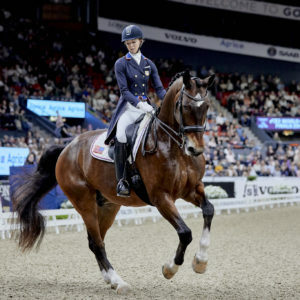 Our bodies say, “Go away,” at the same time we constrain our horses on lead lines or cross-ties, leaving them essentially unable to respond to our clear body language. We can learn to turn our center slightly away from the horse as we work around him, automatically putting him at ease—we are no longer giving him a sending message. Every horse-human relationship is haunted by “Xs” and “Os”—these habitual and confusing signals. Becoming aware of how we are sending our horses away or drawing them to us is, quite simply, transformative to our relationships with them. 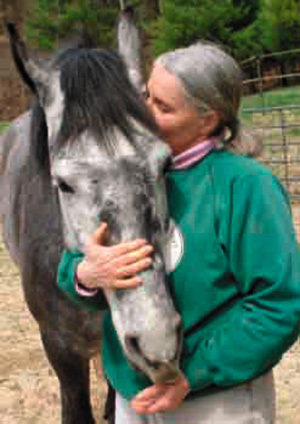 Gretchen Vogel is a lifelong horse owner and rider, and the co-author of “Horse Speak”, published by Trafalgar Square Books.